A series of three random copolyesters comprising biscoumarin and chalcone units as prime monomers, spaced with aliphatic alkyl chains of varying methylene units and 4,4′-oxydibenzoate, was synthesized and characterised by FTIR, NMR, TGA, DSC and XRD. The antimicrobial activity of the copolyesters was studied using Agar disc diffusion and broth dilution assay. The inhibitory effects of copolyesters were higher for Gram positive than Gram negative bacteria. All the copolyesters exhibited appreciable antimicrobial activity. 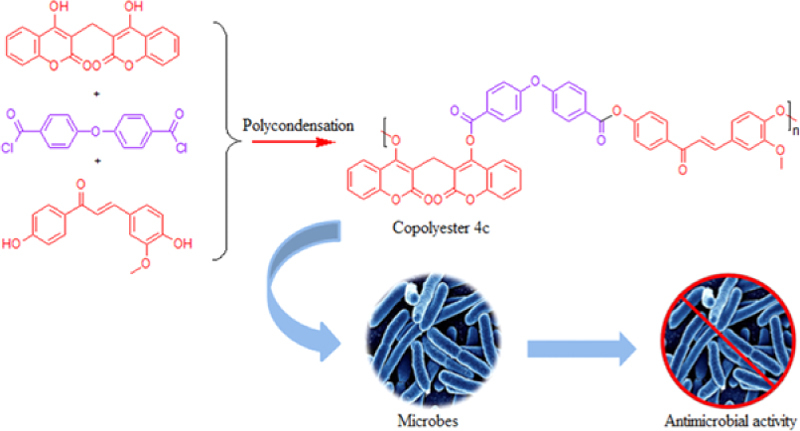 In particular, copolyester 4c, poly(biscoumarin-4,4′-oxydibenzoate-3-methoxychalcone) exhibited highest inhibition zone range of 19±0.39 mm for Bacillus subtilis, 20±0.51mm for Staphylococcus aureus and 20±0.22 mm for Staphylococcus epidermidis. Bacillus subtilis was more sensitive towards copolyester 4c exhibiting a minimum inhibitory concentration of 39.05 μg/mL. Chalcone coupled biscoumarin copolyester presented good antimicrobial activities comparable with those of standard antimicrobial agents, Chloramphenicol and Amphotericin-B. Thus the incorporation of biscoumarin and chalcone units in the polymer chain exhibit very good antimicrobial activity against gram positive bacterial and fungal strains. 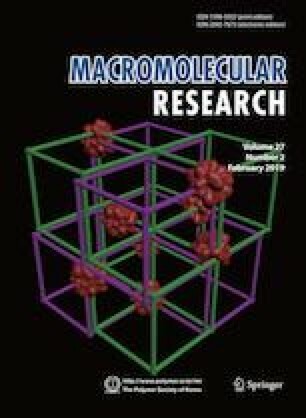 Supplementary material is available for this article at https://doi.org/10.1007/s13233-019-7082-8 and is accessible for authorized users.